12th April, 2017. London, UK. 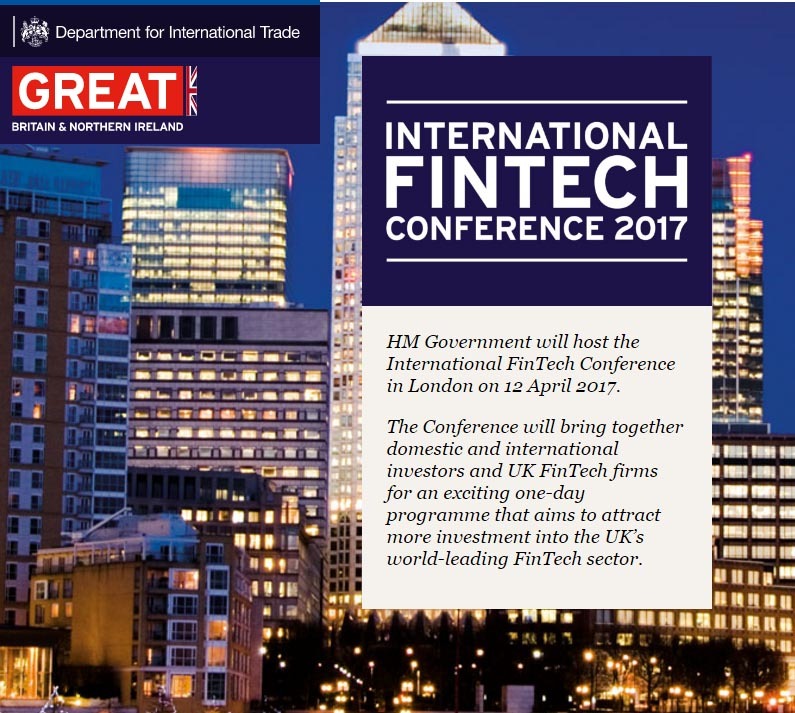 ALA is delighted to announce that it was selected as one of only 100 UK Fintech firms to attend the HM Government’s hosted International Fintech Conference 2017 – a new fixture on the calendar designed to attract more investment into the UK’s world-leading fintech sector. The event was kicked-off by HM Treasury Special Envoy (Fintech), Eileen Burbidge followed by keynote speeches from Chancellor, The Rt. Hon. Philip Hammond, the Governor of the Bank of England Mark Carney, and The Rt. Hon. Liam Fox, Secretary of State Department for International Trade – at this first event of its kind. “It was the perfect platform to showcase what ALA is capable of and being selected is a real testament to our ground-breaking technology launched recently,” said Nick Ellis, Managing Director, ALA. The conference brought together a select group of UK fintech firms and potential investors, including Sovereign Wealth funds, family offices and high net-worth individuals. As a leading light start up, ALA, were given the opportunity of showcasing our next-generation big data and advanced analytics solutions in the exhibition space. The government is looking to boost capital investment in fintech, one of the fastest growing sectors in the UK. The event brought together the best of British fintech firms and 450 investors from around the world in the hope to cement the UK as a leading global fintech capital. Philip Hammond opened the conference saying Britain will “lead the world” into the fourth industrial revolution. It’s an exciting time to be part of the UK fintech sector, and ALA fully expects to be leading the field in big data and advanced analytics.